Every company has its story; its mission; and its journey. The path is rarely a straight line—learning, improving and evolving are always in progress. Just like a solid foundation, the underlying origin, evolution and purpose behind Arx Pax is important. Protect people, property and communities from floods, earthquakes and rising sea levels by building in harmony with natural forces. Arx Pax envisions a more sustainable and resilient built environment in which extreme natural events don’t have to be disasters. By being able to maximize the value of underutilized land, Arx Pax can help provide housing and jobs in urban infill sites while providing developers greater return on their investments. The SAFE Foundation System represents the next evolutionary step in resilient construction technologies. Greg Henderson founded Arx Pax because he knew there was a better way to build. For over 20 years he spent his time researching and developing a three-part foundation system. Building responsibly, sustainably and safely has always been Greg’s driving force. He leads with a unique blend of experience, skill and leadership, from West Point Army Ranger to UC Berkeley licensed architect. He is also a builder and an inventor of numerous patents. With his wife and Co-founder, Jill Henderson, Arx Pax has built a transparent culture aspiring to be humble, wise, passionate and kind. The Arx Pax team is a group of quality people with high integrity, talent and a drive to contribute to the greater good. While working on the first Arx Pax patent for the three-part foundation system, Greg realized there were several ways of separating structures from the earth to protect them from natural forces. Structures can float in a liquid like water, or on an entrapped gas, or even on a liquefiable solid. Greg then asked, “Why not an electromagnetic field? If you can hover a 50,000 kg train, why not a house?” As it turned out, experts believed levitating an object like a train or house over a passive surface was “impossible,” so Greg taught himself electromagnetism and with the advantage of the outsider’s perspective, he was able to solve the problem. To prove its technology and draw attention to real world problems and its mission, Arx Pax introduced the Hendo Hoverboard as a proof of concept to discuss better ways to build in harmony with natural forces by decoupling structures from the earth. The three-part foundation system consists of a containment vessel, a buffer medium and a construction platform. 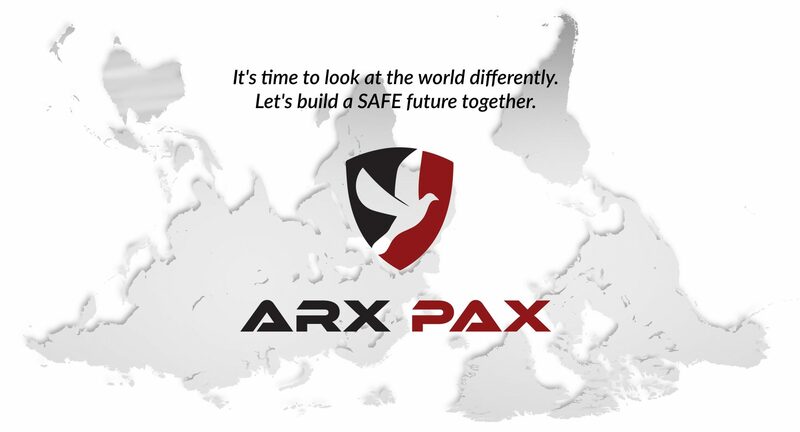 Arx Pax has two families of patents: the SAFE Foundation System™ (Self-Adjusting Floating Environment), which uses water as the buffer medium; and Magnetic Field Architecture (MFATM) which uses a magnetic field as the buffer medium. Both technologies were designed to separate structures from the earth and address the largest markets in the world – real estate and infrastructure development, respectively. The SAFE Foundation System is ready to be deployed and licensed. MFA has been licensed to strategic partners who are developing the technology for solutions in a wide range of use cases including the Hyperloop.